Research has shown that the Slow moving planets like Jupiter, Saturn, Uranus, and Neptune have a telling influence on the winter season across the globe.Whenever the planet Jupiter, Saturn, and Uranus is approaches near to Perihelion symptoms of drought-like conditions has been observed and when Jupiter, Saturn, and Uranus is transiting closer to aphelion there will be more like a dampness and cold weather around the globe especially in those areas close to Northern hemisphere touching to Capricorn-Cancer Sign axis. Late Dr. B.V Raman has observed many of such above-mentioned conditions in his lifetime research work, in His opinion, Strong (Usually Slow moving planets) positions or aspects of planets leave strong impressions on the weather during this Perihelion distance progressively all over the world. It has been observed that Sudden and Frequent weather changes have been associated with the ingress of Sun, Moon, Mercury, and Venus over Jala and Vayu Nadi with nodes near Supermoon, or Full Moon. 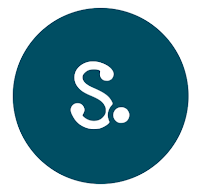 For analyzing Winter Season Ingress of Sun in Scorpio Sign, Jupiter conjunction with Nodes, Saturn, Mercury or Moon have vital role play in triggering seasonal changes those are unpredictable or very erratic in nature. Lets study past cases on erratic winter season those are falling under the worst winter season in century. 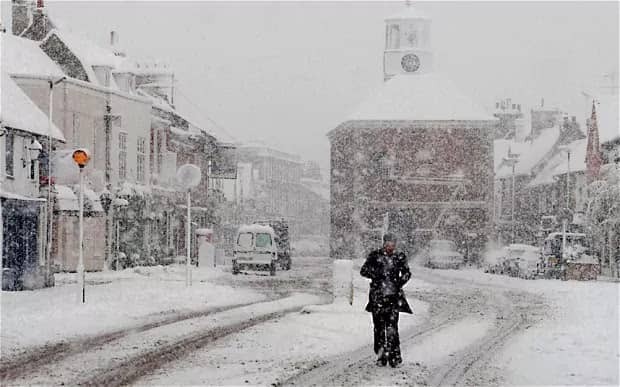 News : Britain braced for long, snowy winter as strongest El Nino since 1950 expected.The strongest El Nino for 65 years could bring a winter like the 2009/2010 Big Freeze. This has been Seen and obserbed in Winters of year 2009-2010 around the globe When Jupiter was Just seperated from the north nodes Near Capricon Sign when it was closer to the earth. In winters of 2009 in december month (16th December 2009), Rahu was Just Seperated from the Capricon Sign around (28’27 Degree) was transiting back to the Sagitairus Sign, loosely conjugated with the Sun (1’6), Mercury(21’12) and Moon (5’42) and Jupiter ( 29’30) was transiting in Capricon sign, It was the Day after Amavasya (New Moon day (Shukala Pratipad) after the day of Dark Moon), and Saturn was closely linked with Venus. Sun, Mercury and Moon all were linked with Nodes. 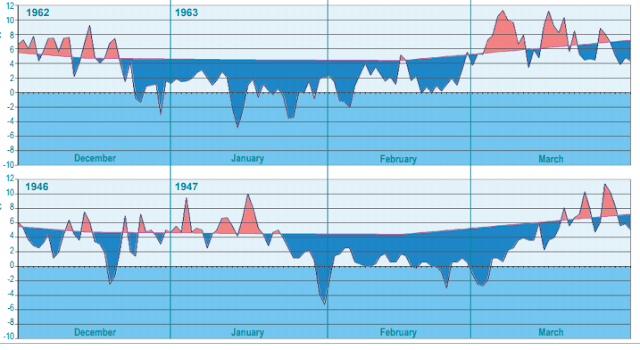 This has been clear case of chilling winter Seasonal change around the globe which has triggred the drastic winter season for year 2009-2010. United Kingdom, Most of Europe and India has Measured one of the coldest year in century, almost record breaking Winter in last 40 years has been experienced. Map of Europe showing the difference of temperature between December 11–18, 2009 and the 2000–2008 average, Source: NASA – http://earthobservatory.nasa.gov/IOTD/view.php?id=42067. 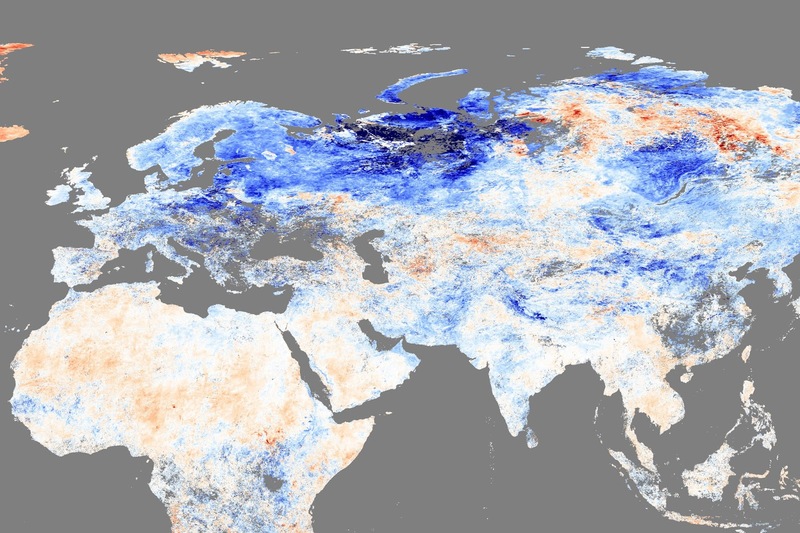 As Reported by Nasa Earth observatory, The winter of 2009–2010 in Europe was unusually cold. 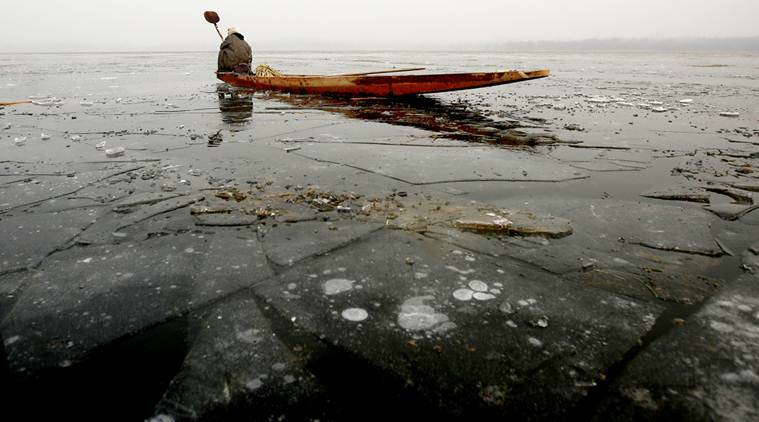 Globally, unusual weather patterns brought cold, moist air from the north. 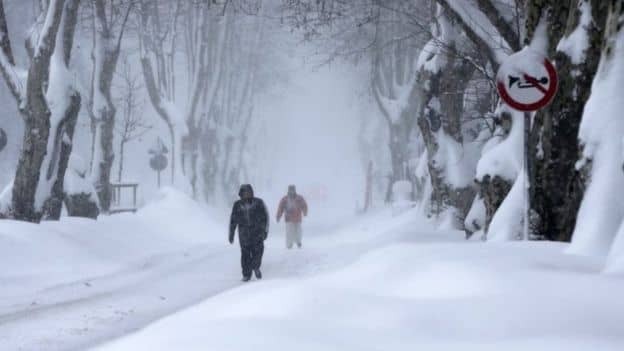 Weather systems were undergoing cyclogenesis from North American storms moving across the Atlantic Ocean to the west, and saw many parts of Europe experiencing heavy snowfall and record-low temperatures. This led to a number of deaths, widespread transport disruption, power failures and postponed sporting events. 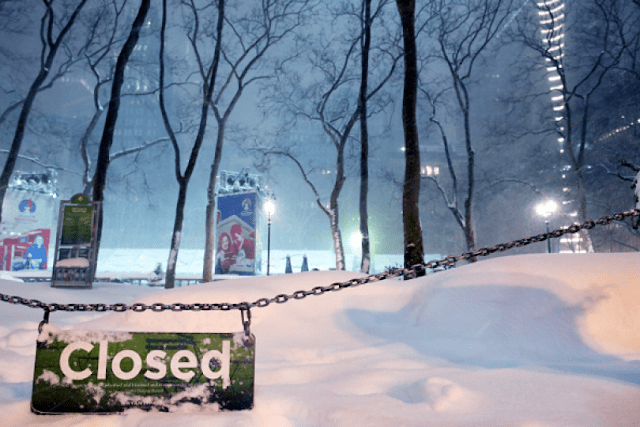 The winter of 2009-2010 was defined by snowstorms of historic proportions and record-breaking cold. 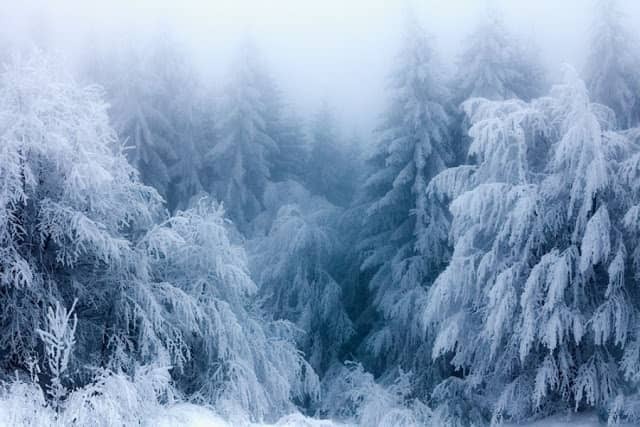 The winter of 2009–10 in the United Kingdom (also called The Big Freeze by British media) was a meteorological event that started on 16 December 2009, as part of the severe winter weather in Europe. January 2010 was provisionally the coldest January since 1987 across the country.A persistent pattern of cold northerly and easterly winds brought cold, moist air to the United Kingdom with many snow showers, fronts and polar lows bringing snowy weather with it. The first snowfall began on 17 December 2009, before a respite over the Christmas period.The most severe snowy weather began on 5 January in North West England and west Scotland with temperatures hitting a low of −17.6 °C (0.3 °F) in Greater Manchester, England.The snow spread to Southern England on 6 January and by 7 January the United Kingdom was blanketed in snow,which was captured by NASA’s Terra satelliteThe thaw came a week later, as temperatures started to increase. 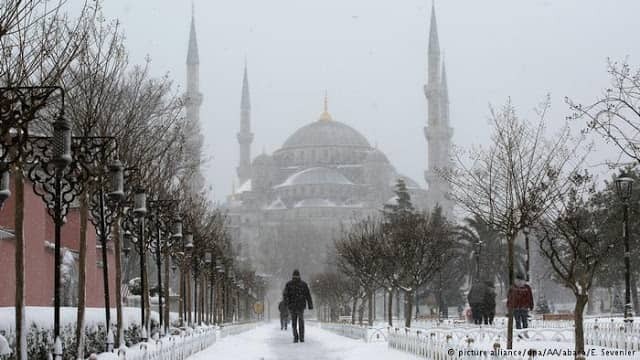 The winter weather brought widespread transport disruption, school closures, power failures, the postponement of sporting events and 25 deaths. A low of −22.3 °C (−8.1 °F) was recorded in Altnaharra, Scotland on 8 January 2010. 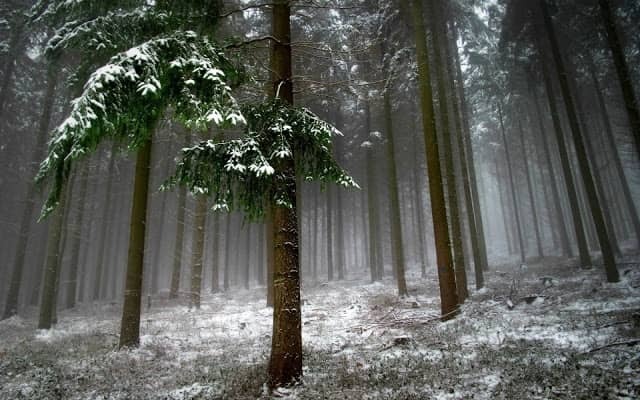 Overall it was the coldest winter since 1978–79, with a mean temperature of 1.5 °C (34.7 °F). In Above chart, near Surya Sankranti of Indian Winter in year 2012, Mercury, Venus and Jupiter were Closely Linked under the grip of North and South Nodes in the Sign of Scorpio and Taurus where Jupiter was in retrograde motion and Rahu and Ketu has just transited in Taurus and Scorpio sign. Saturn having link with Mars and Sun during that time too.It was the day before Full Dark moon.So, it was confirmed that the year 2012 will be a Cold year for India and rest of world. 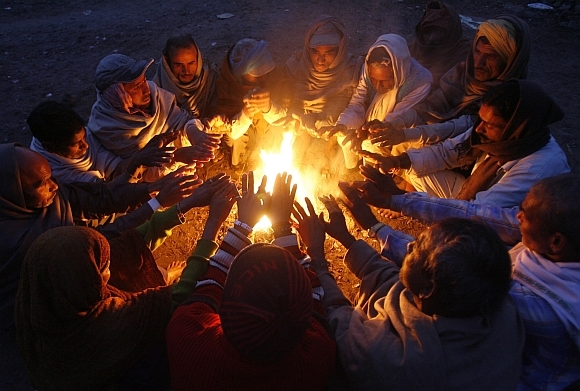 Men warm themselves by a fire at a railway yard on a cold winter morning in Chandigarh. Indian cold wave during the winter months of 2012 killed at least 92 people across northern and eastern India.The drop in temperature had a devastating effect on the hundreds of thousands of homeless people in India. Normally it has been seen whenever Saturn forms relation with Venus, Mercury, Moon and Sun it usually trigger chilling weather conditions with heavy blow of wind around Novemeber/Decemmber months for predicting winter season. In India Heavy Winter season knocks the door when Sun ingresses over Capricorn Sign after 22nd December 2017 and during this time When Moon, Venus passes over Saturn or closely conjugated with Saturn or Jupiter or there will be a full lunar eclipse passes or Full supermoon trigger with Mercury or Saturn, it usually triggers a very Cold, frosty and snowy winter season will follow across the globe in the northern hemisphere especially in those countries those are very close to the northern hemisphere. 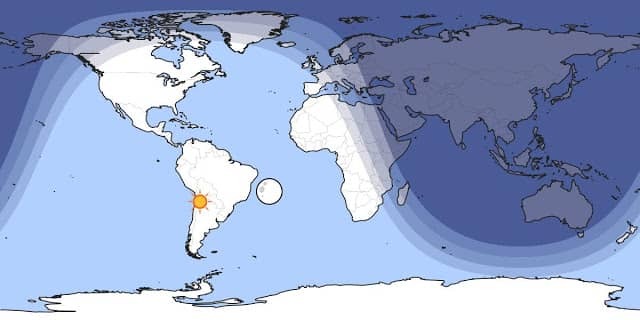 As per Vedic mundane astronomical mapping sign system, Capricorn and most of the Nakshatras falling in Capricorn rules the Northern hemisphere countries i.e Almost all major portion of North of India, Pakistan, Northern China, Germany, England, North America, Canada, Russia and all of the countries close to Europe have a deep impact during the winter solstice. Whenever Slow moving planets transits to close to Scorpio-Sagittarius-Capricorn signs, winter seasons in the northern hemisphere has experienced a sudden and an erratic weather condition. 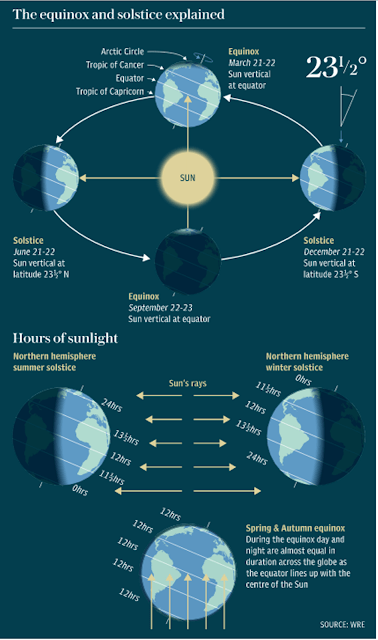 During the winter season in Northern, Hemisphere earth is a very closest to the Sun. It has been observed on January 3, 2007 (Source Space.com), Earth reaches to its closest perihelion state but the question is if we are very closest to the Sun after December shouldn’t we experience summer season in December-January. Well, it’s not possible due to an Earth elliptical orbit around the sun we experience summer and winter season in the different hemisphere, During winter hemisphere. The Mark of winter solstice happens every year when the Sun reaches its most southerly declination of -23.5 degrees. 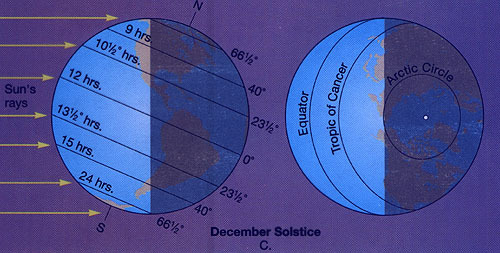 In Winter season the North Pole is tilted farthest away from the Sun, delivering the fewest hours of sunlight of the year.In winter The Sun is directly over the Tropic of Capricorn in the Southern Hemisphere and is closer to the horizon than at any other time in the year, meaning there will be shorter days and longer nights. Astrologically, Research Has shown that transits of slow-moving planets (Saturn and Jupiter) relations with Nodes, Venus, Mercury, and Sun in Sagittarius, Scorpio, and Capricorn has given more cold and damp season in winters.If there is a conjunction of Venus is with Saturn in the winter season it has given insistent rainfall which can trigger long-lasting cold waves in winter. 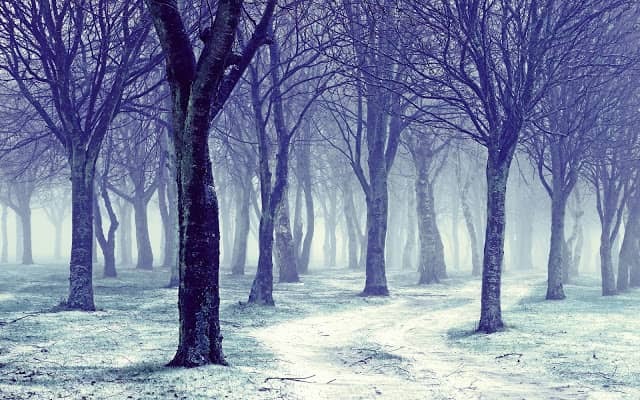 Currently Northern countries those are close to Northern hemisphere (U.S, Canada, Germany, Russia, North of India, Pakistan, North China, England those are close to Capricorn Sign) will “experience Sudden and Erratic winter condition” after 10th-11th of December 2017 with the ingress of Retrograde Mercury over Jyestha Nakshatra in Scorpio Sign (Jala Rashi) around Gandanta Degree (29’40) in Vayu Nadi and having closely conjugation with an orbital distance of 4 to 6 degree with Sun (25’00) and Venus (18’00) – Weather will take Sudden U-turn in Most of the Northern and Western States of India including rest of worlds lying closer to Northern Hemisphere. 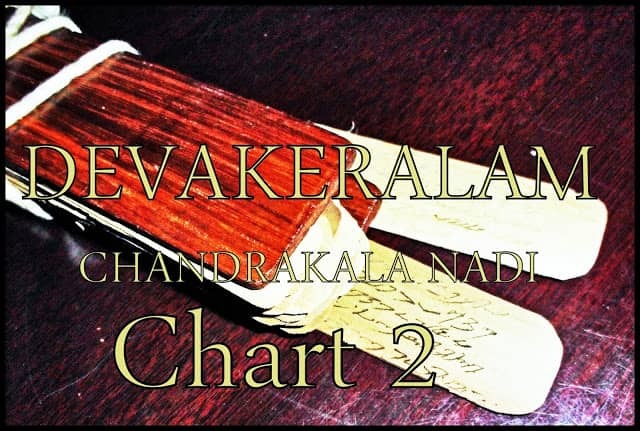 It has been seen that whenever there will be a junction of the Beneficial planet in Jala or Vayu Nadi or in Jala or Vayu sign in the same sign or same nakshatra near Surya Sankaranti, (Transiting State of Sun to next Nakashtra/Sign around 0-1 Degree), or Full moon or Full dark moon, winter seasons usually gives a huge amount of Snowfall, rainfall, with a Heavy blow of cold blizzard air and temperature, can go down drastically at night time. More the Retrograde mercury will move closer to the Sun and Venus after 12th of December 2017 to 15th of December, Intensity of cold blizzard with rainfall can increase. Day of 15th and 16th of December can be marked as one of coldest day in December month before the beginning of winter solstice of 2017. The close association of Retrograde/Combusted Mercury with Sun and Venus has always given sudden seasonal changes in Jala or Vayu Nadi. After 15th of December 2017 mercury will separate from Venus at 23’00 degree will give both sunshine and soothing weather condition and with little chances of showers and there could be possibility of cold blizzard or onset of cold wave in some of the north and western regions of India as Mercury will be moving closer toward Jupiter in reverse order in jyestha Nakashtra toward western states of India or countries those are close to west of USA, Mostly Ruling Most of the western regions of India (Jaipur, West UP, Merath, West Pakistan,Rajasthan) and world ( US). 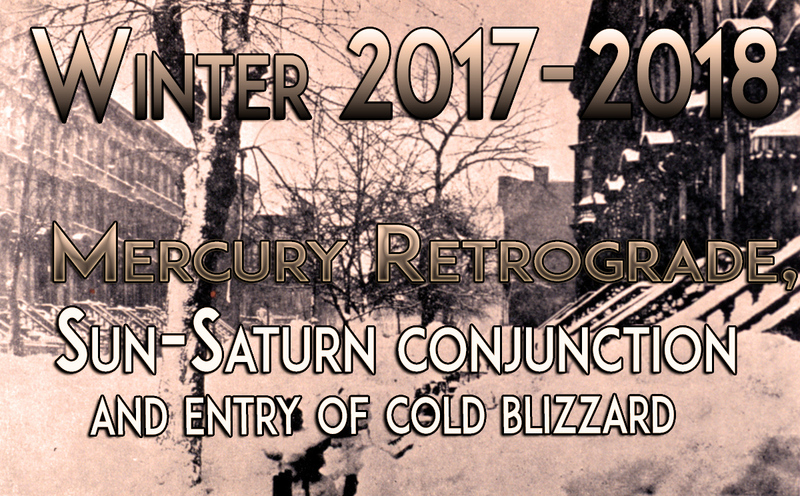 Though mercury will be gripped from both the sides by Mars, Saturn and Jupiter till December 2017 month, so chances of long-lasting stagnant weather or cold blizzard will be there during this winter season but it won’t be much consistent. Though at the same side, Jupiter will be in airy sign that can produce the possibility of a windy and wet season in 2017-2018 till it is in Swati Nakashtra but later after 20th of December 2017 when Jupiter will move to Visakha nakshatra winter condition can change and it will give more damp and cold season with chances of good rainfall or snow or totally dry wind and atmoshpehre. Though there will be fewer chances of terrific thundering and lightning during this winter season as Mars will be unaspected by Either Venus and Saturn till march 2018. If we see the Current condition, Mars would be having 3/11 relationship with Saturn till 6th of March 2018 so there won’t be any Disastrous winter thundering or lightening trigger till 6th March but later when mars will Join with Saturn in Sagittarius season, will change and it would trigger sudden, warm and erratic weather condition with more chances of earthquakes around eastern countries and condition of warm weather can experience more after 15th of March 2018. 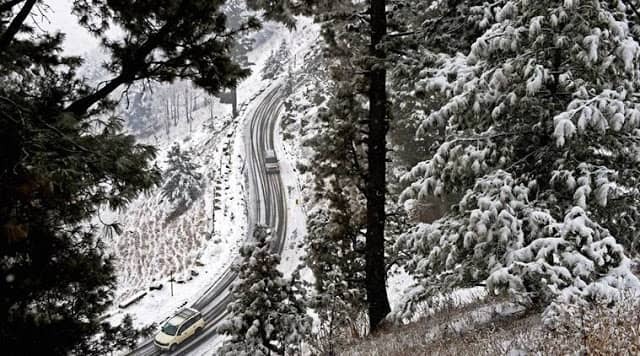 During this Conjunction air pressure will be high at higher altitudes and temperature at hilly areas will be very low with more chances of Snowfall at higher altitudes but warm weather in plain areas, but there could be the possibility of the cold breeze of air when Moon or mercury will join them. If we see the current scenarion, situation will either improve or increase later When Sun will join with Saturn in sagittarius sign over Moola Nakashtra in Agni Nadi ( greater chances are that weather will become cold according to the latitudes of the countries( Cold in higher and warm in lower alitudes) but it could be different in plain areas), ruled by Mars which usually gives sudden temperature variation in the winter season and it can either trigger an totaly warm atmoshpehre, erratic cold and chilling weather in higher alitudes or behaviour will be totally drastic but it has been seen past years, that there could be chances of two different Changes or temperature variations would measure within a day, this effect will be experienced in Most of the northern Regions of India and another part of the world close to higher alitudes i..e Jammu and Kashmir, Punjab. New Delhi. Himachal Pradesh, West Up, Jaipur, Rajasthan, Germany, England, Russia etc. as during this time Venus will be crossing and moving toward from Jupiter to Saturn (* from Libra, Scorpio to Sagittarius). 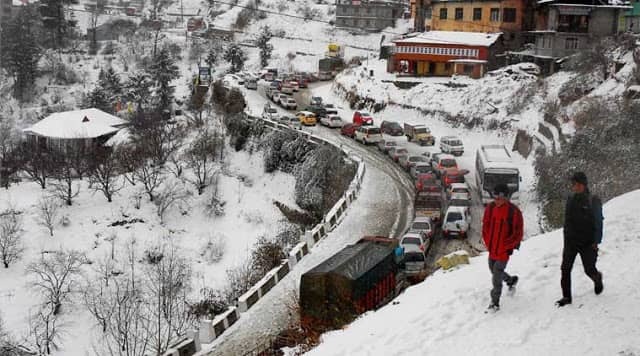 After 20th of December 2017, when Venus will join with Sun over Moola Nakashtra in Agni Nadi there would be either Possibility of Increase of cold wind, chances of wetness in the atmosphere or with chances of Snowfall, but sunshine at the same time in plain areas or possibility of Shower would increase in higher altitudes areas of India with snowfall could be felt in US, Canada, Germany, Russia and England, and condition could be measured up to 25th of December 2017 when Venus will be much closer to Saturn around 6 degrees. In this Season winter will be very cold, hard, frosty and snowy as both Venus and Moon will be moving toward Jupiter to Saturn motion but in 3/11 relation so at the sameside winter would be enjoyoble and soothing too. 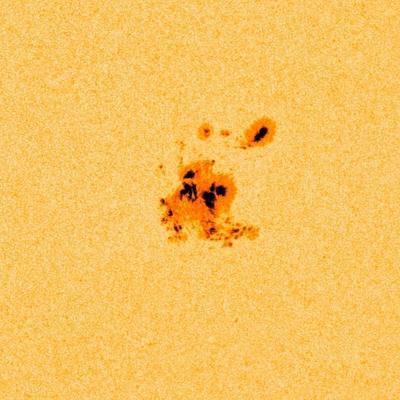 Another Important reason for this year winter season was based on sunspot theory, as after 9th September 2017, a bigger and massive Sunspot has been spotted in the Solar region with the size around 1000 at the solar region of 12673 with top 10 solar flares from sunspot region 12673 has been measured in 2017. During September 2017 Mars and Mercury were closely conjugated around 5 to 8 degrees with Sun in the sign of Leo (Firey Sign) . 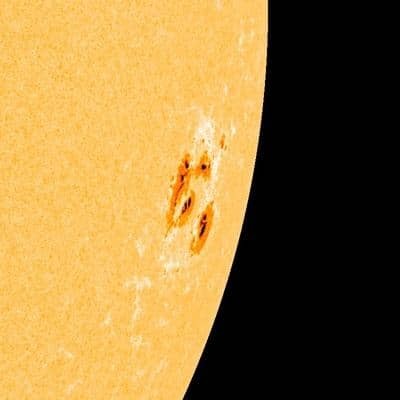 When Sun will closely conjoin with Saturn in Sagittarius 16th of December 2017 there could be another possibility that sunspot would appear in the solar region that can trigger cold and damp Winter season with stagnant pressure over longer periods (Possibly for 1 month – up to 16th of January 2018) and winter would be colder than normal for the season. After When sun Will join South Node Ketu weather condition would be much colder, sever and possibility of winter Storms could trigger during winter in 2018 up to 16th of February 2018. In General, Mild winter would be trigger after 22nd of December 2017 to 22nd of January 2018 for rest of northern Hemisphere countries, and one can experience seasonal changes in winter in Most of the northern and Western areas of India and rest of the world. 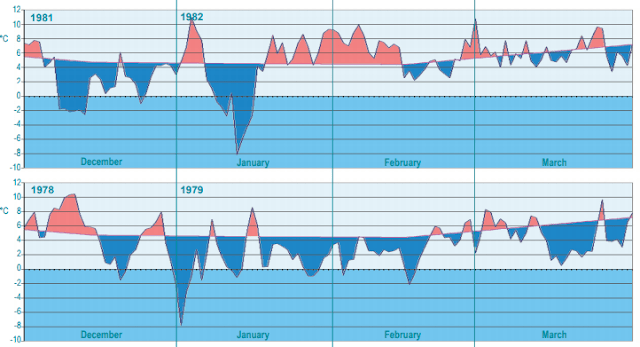 some charts are explained at multiple places. forward to bring out the entire re-translation. astrological fraternity will welcome it. CHARTS, THUS LOSING THE SPIRIT AND PURPORT OF THE SLOKAS. versions published by Sh. R. Santhanam). in fortune in a foreign land because of his sister’s husband. have younger brothers. Even if they are born they will die. parents while born in the first half will have long-lived elder brother. half will be fortunate in his own country. Taurus ascendant with Aries navamsa will be fortunate in pilgrim centres. in the middle portion of the first half will lose his father in his childhood. the native will be blessed with little progeny in his old age. through water (1531. His elder brother’s son will die by drowning in water). The native’s sisters will have sons. two sisters will be blessed with good sons. half two sisters will suffer widowhood without any doubt. or in the 24th year. vargottama in Scorpio, the junction of the Vipat dasa (between Mercury and Ketu dasa) will be unfortunate. the native’s parents will leave the native country and die in a foreign place. 87.
ashtakavarga. This will be explained at some other place. prescribed daily rituals- every day and will have great devotion). 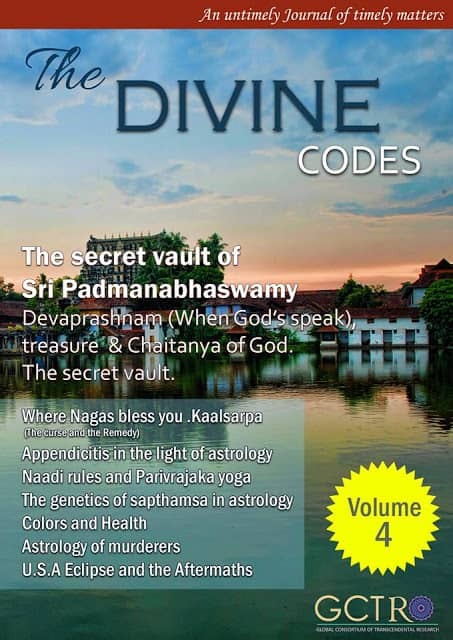 start enjoying great comforts from the end of Vipat dasa (Ketu dasa). grave danger during his 40th year. the transit of Saturn he will suffer yogabhanga and mental affliction. (1547.
after performing remedies (1548. He will leave his country).